Reverend James Peet, Oneota’s first Methodist minister, lived in Superior, Wisconsin, and canoed across the bay to conduct services in Oneota from 1856 until he moved there in 1859. He first held services in homes and then at Oneota School. 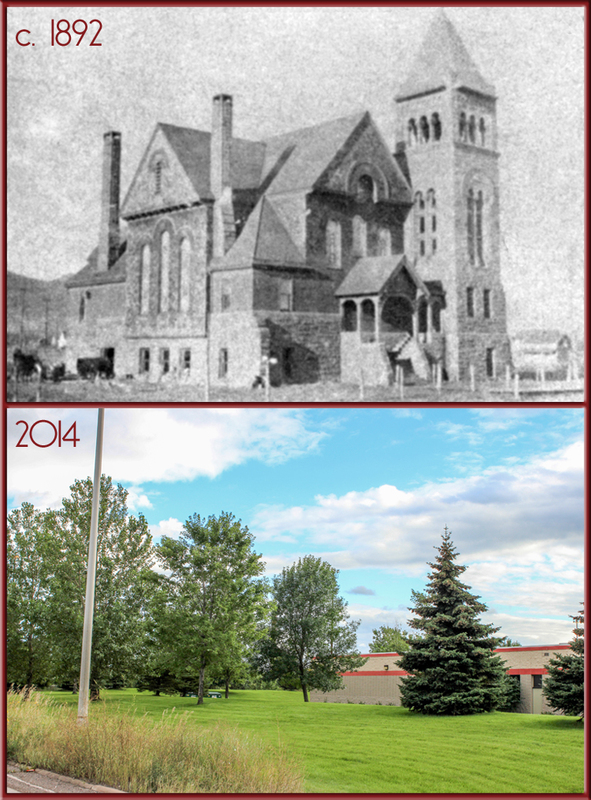 In 1870 Oneota built a small one-room wooden church at Forty-Sixth Avenue West and Superior Street. 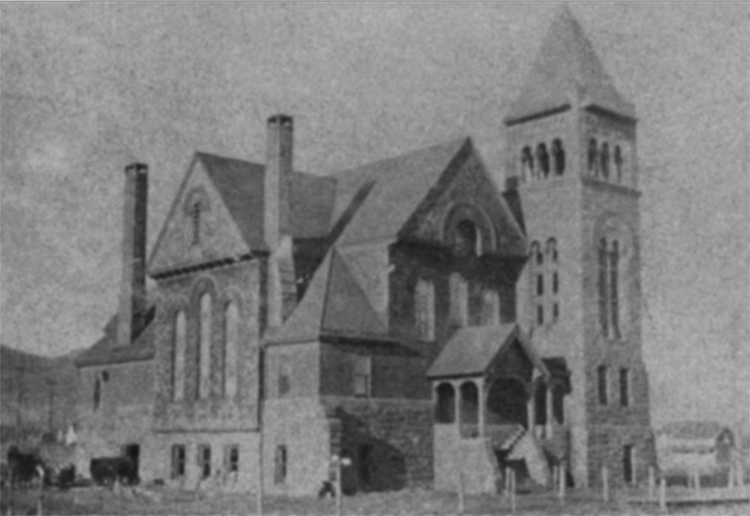 That building served until 1892, when the congregation built a new church on the same site, a Romanesque Revival structure with a square tower and arched windows. Its first pastor, Lucien F. Merritt, served from 1890 to 1895. After he died in Ohio in 1900, the church was renamed the L. F. Merritt Memorial Methodist Episcopal Church in his honor. In 1921 Merritt Memorial merged with Asbury Methodist. The newly joined congregation had the building moved to 728 Central Avenue North and rechristened it Central Avenue Methodist Church. April 1992 saw the final service at the 1892 church; it was razed a year later (the new Laura MacArthur Elementary was built over part of its lot). The congregation built a new church at 6682 Grand Avenue and changed its name again to Asbury United Methodist Church. One of the 1892 church’s stained-glass windows now graces Asbury United.